FCE Scan® - Sports Performance analysis. Improve your competitiveness. Our system is used by Nike’ elite athletes, Premier League, Bundesliga, Russian Premier League players and by elite sports people worldwide. Our system reproduces three dimensional views of an athletes bio-mechanics (body movements). These can be assessed and reproduced at any stage in training or competition. They can be used to gauge performance or for comparative studies (incremental improvements). It is also a fast, effective and reliable method of locating the cause of an injury and finding injury predisposition. Our scans create a framework for precise injury treatment thanks to our detailed analysis and reporting. In athletes who do not currently suffer from injury our scans are used as a tool for injury prevention and to improve performance. 1. Dynamic Spine, Pelvis and Postural analysis. 3. Dynamic Foot & Gait analysis. Sports involve movement. Injuries generally occur during movement. 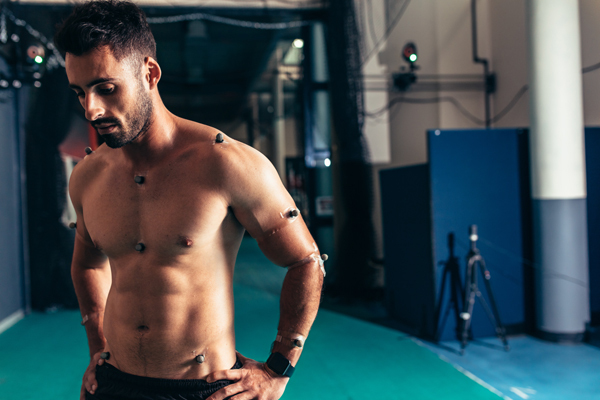 But all current forms of injury assessment focus on static musculo-skeletal tests such as MRI x-ray or clinical examinations. FCE Scan assesses the musculo-skeletal system in a dynamic form. To hit peak performance the sports person has to focus on their fitness. Injuries are the obvious precursor to reduced fitness and therefore performance. FCE Scan will assess for strain patterns that cause injury. This allows the sports person to address them before they become a problem (injury prevention). “On the recommendation of a good friend I visited the new FCE ‘Scan & Plan’ facility in Dame Lane here in Dublin 2. Being a professional footballer for 20 years and a weekend warrior/ fitness fanatic ever since, I was interested in their Sports Performance offering -as I have a strong wish to maintain good general mobility. Amy O'Donoghue, 1500m National Silver medalist 2017 & 2018, Gold medalist National Indoor 2019.